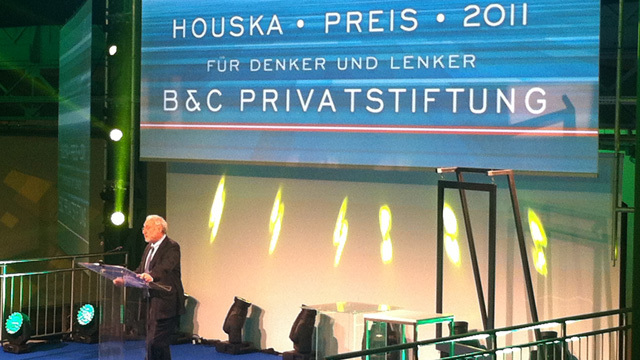 On April 26th, 2012 the B&C foundation awarded the Houska prize for economic relevant and practical research projects in Austria. With a prize money of 300.000 Euro the Houska prize is one of the largest private research promotions. 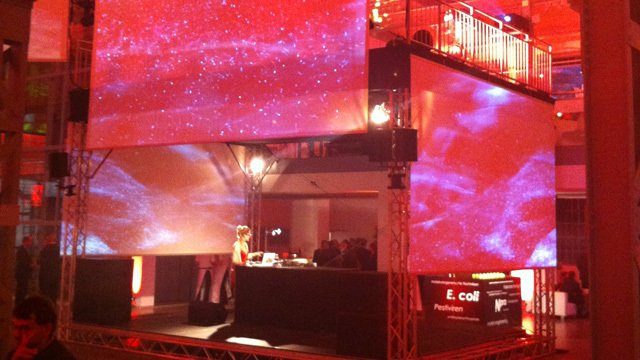 The moderating team Tarek Leitner and Petra Morze lead 400 invited guests with peyote`s i Frame™ and visuals through the evening. 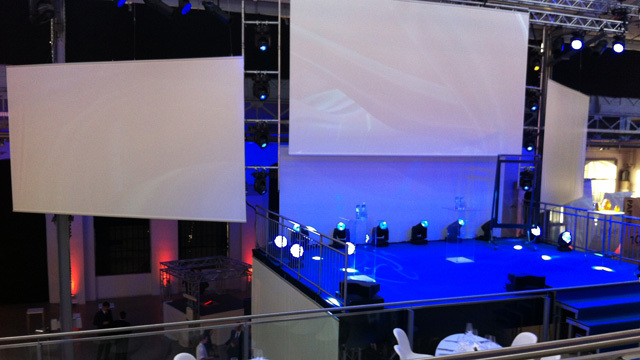 The i Frame™ can be applied in front of every presentation surface and enables intuitive navigation of displays and projections live on stage. Without touching the presentation surface immediately a curtain of invisible light operates the application through movements of the fingers or hands. 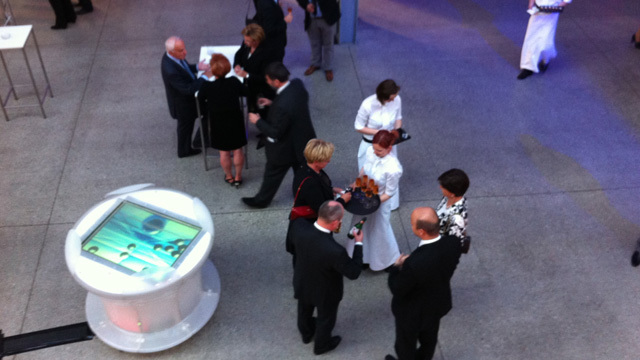 Additionally to that, an i Point™ were provided to present the award winning projects and the prize winners interactively. 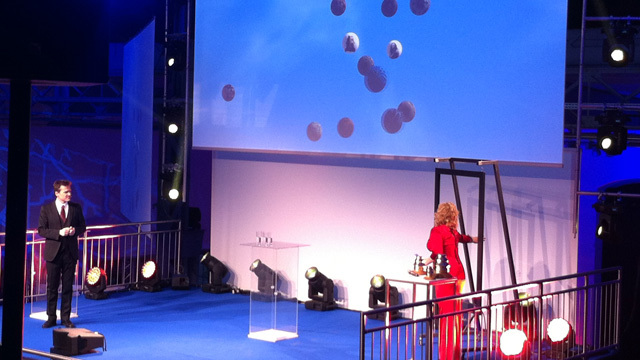 Peyote developed the complete staging and the visual design of the show. Novel prize laureate Joseph E. Stiglitz acted as a Keynote speaker. He held a speech about the reason of the global financial system crisis. 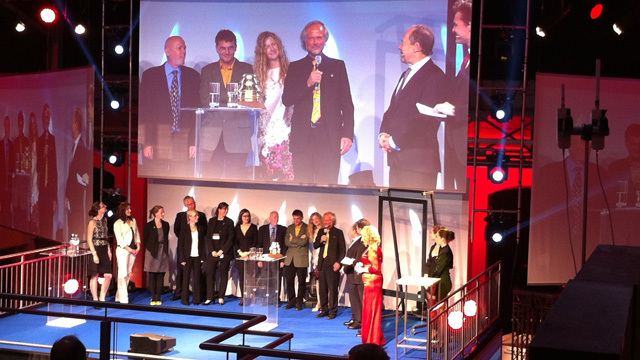 Three main prizes were awarded to the universities in Innsbruck and Graz.